PT Bank Tabungan Pensiunan Nasional Tbk - BTPN or referred to as "Bank BTPN" is a well-established commercial banking company in Indonesia with main business focus rests on four business segments: pension business (BTPN Purna Bakti), Micro Banking (BTPN Mitra Usaha), SME Business (BTPN Mitra Bisnis) and funding business (BTPN Sinaya). The Bank was formed in 1958 and initially registered as Bank Pegawai Pensiunan Militer (BAPEMIL) with main business to served retired military personnel. In 1986, BAPEMIL was officially organised under the name of Bank Tabungan Pensiunan Nasional. Later in 2008, the Bank has been listed in Indonesia Stock Exchange with stock code of “BTPN”. As of period ended 31 December 2015, Sumitomo Mitsui Banking Corporation holds 40% ownership of the Company’s shares. 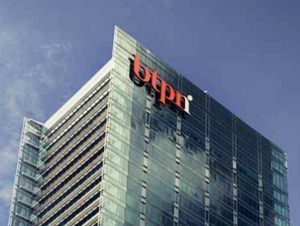 Other remaining shares in Bank BTPN was owned by Summit Global Capital Management B.V (20%), TPG Nusantara S.a.r.l (8.38 %), and public (31.62%). In 2015, the performance of Bank BTPN is showing good results. According to PT Bank Tabungan Pensiunan Nasional Tbk Annual Report 2015 as cited by JobsCDC.com, Bank BTPN registered total asstes of Rp 81,039.66 billion at the end of December 2015. This reflected an 7.97% increase from Rp 75,059.22 billion at the end of December 2014. Minimum Diploma (D3) holder in all major with GPA min. 2.75 within 4.00 scales. Holds around 1-2 years of experience in Customer Service. Fresh graduate candidates are welcome to apply. Placement in Bandung West Java. JobsCDC.com now available on android device. Download now on Google Play here. Please be aware of recruitment fraud. The entire stage of this selection process is free of charge. PT Bank Tabungan Pensiunan Nasional Tbk - D3 Jenius Service Point Staff BTPN January 2017 will never ask for fees or upfront payments for any purposes during the recruitment process such as transportation and accommodation.